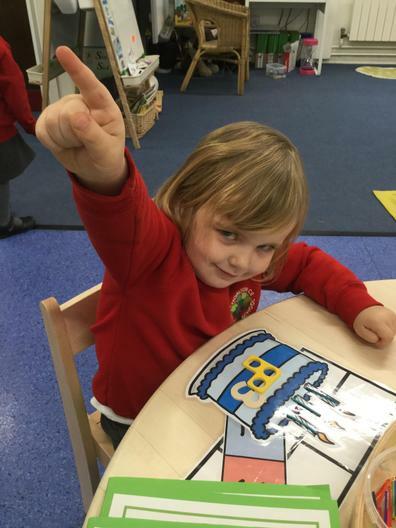 This half term out topic is Celebrations. 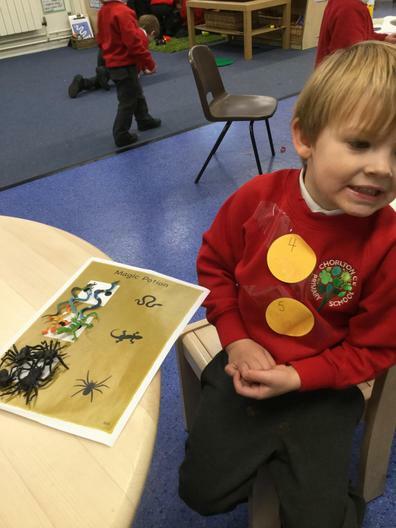 We will be learning all about Halloween, Bonfire Night, Birthdays and Christmas! 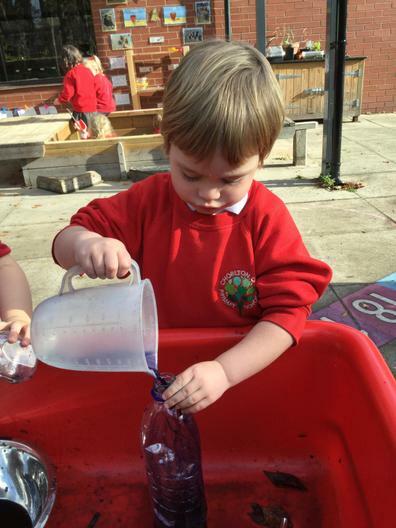 What an action packed few weeks it will be! 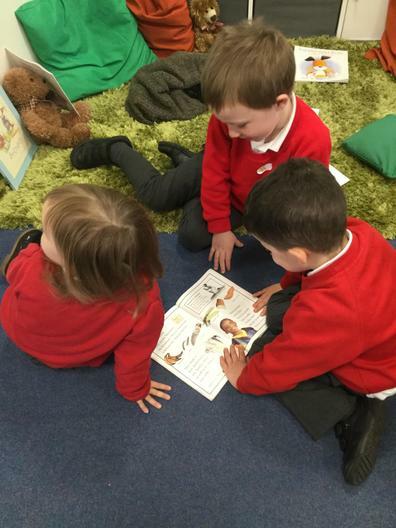 To support this we will be reading "The Ride By Nights", "Kipper's Birthday" and "Stickman" as well learning Remember the 5th of November and practising for our Nativity. 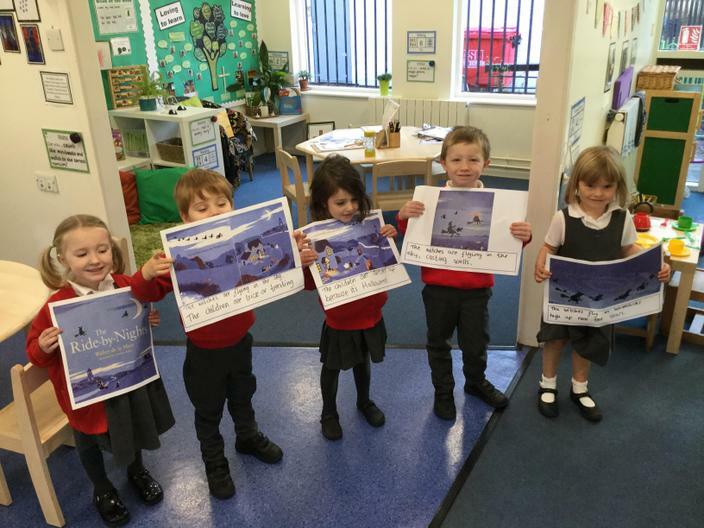 This week we are reading the poem/story "The Ride By Nights". 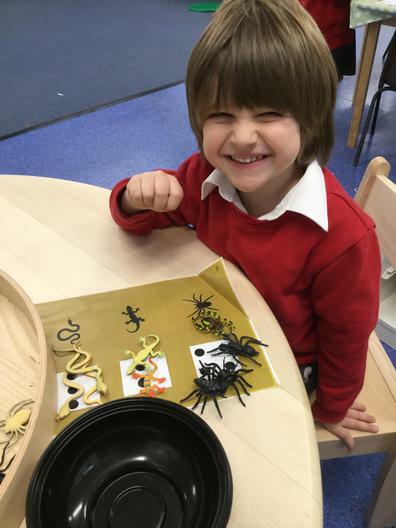 We will be exploring Halloween, and taking part in lots of magical activities. 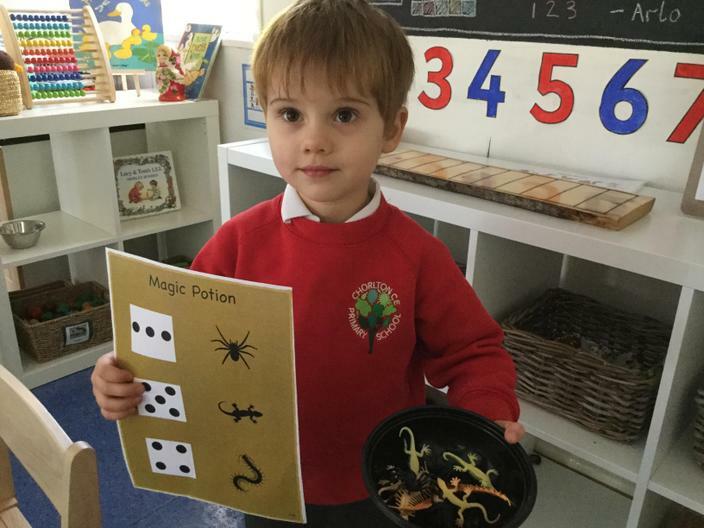 In maths we have been making magic potions by counting the number of spots next to the ingredients and counting out that many of each ingredients. 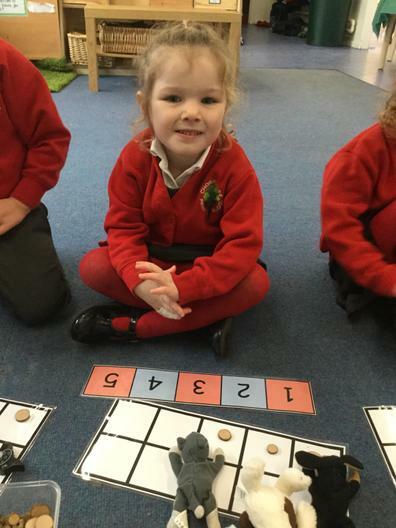 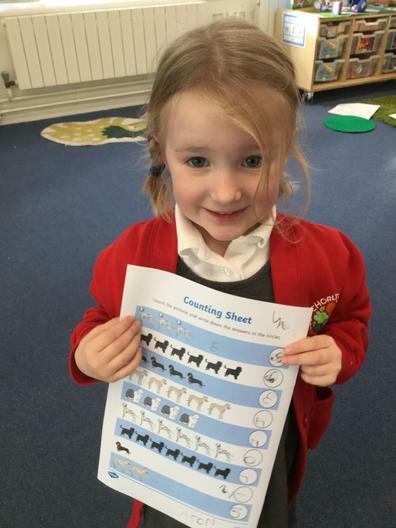 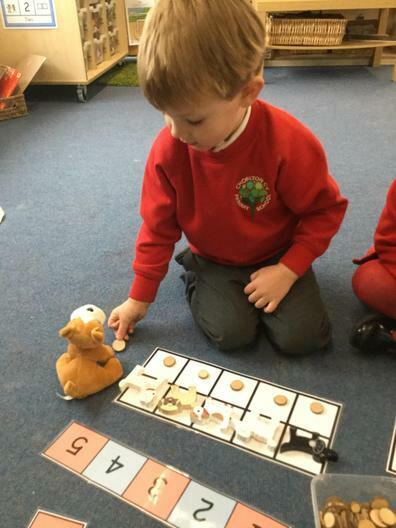 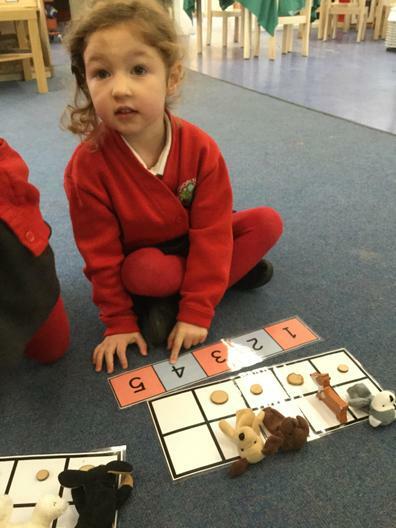 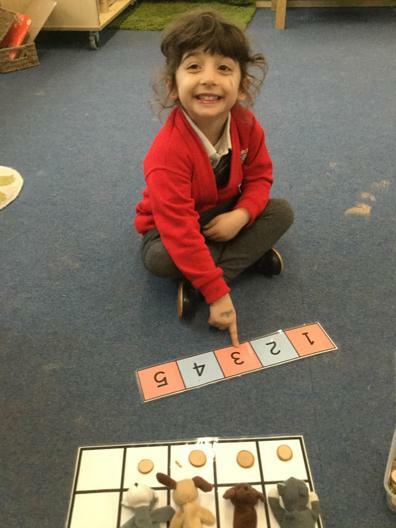 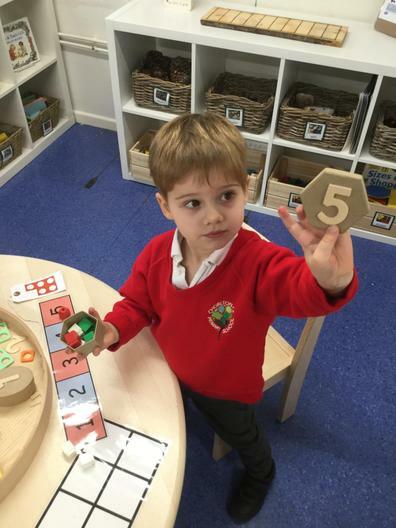 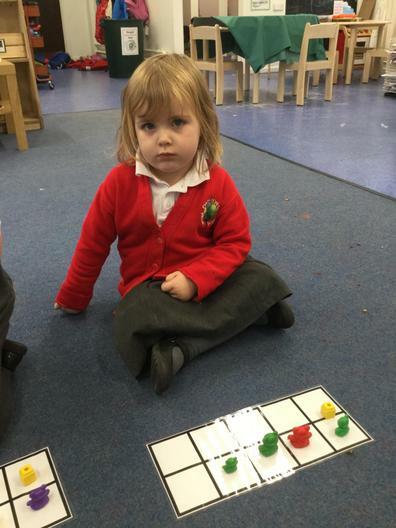 We then had a go at matching to the correct numeral. 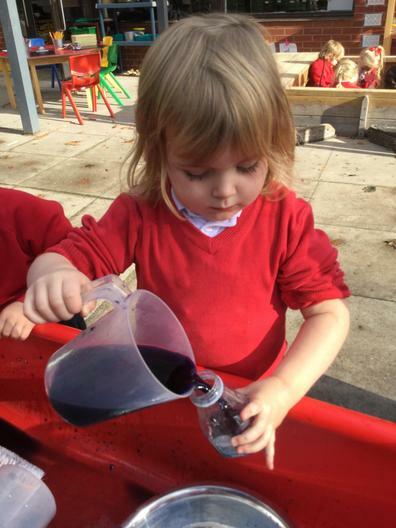 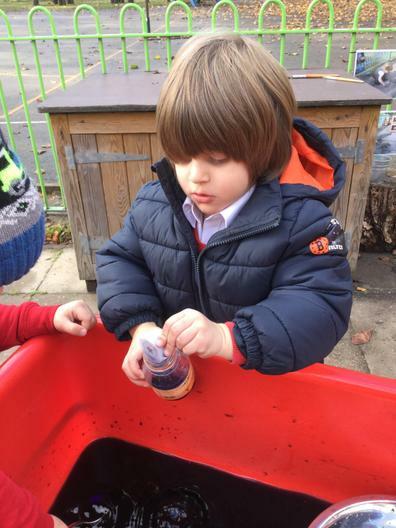 We had lots of fun outside in the water area mixing different coloured potions. 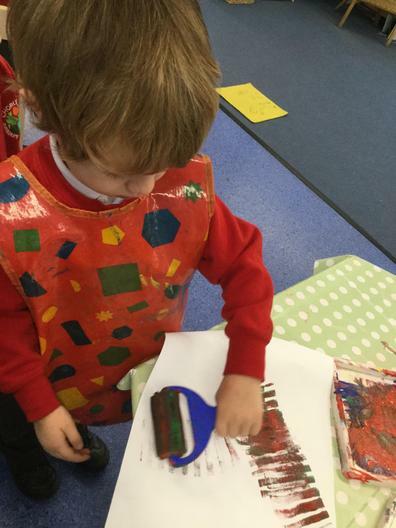 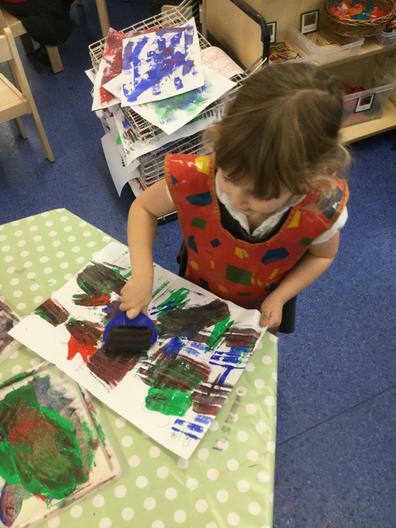 The children experimented mixing colours and exploring the changes that happened. 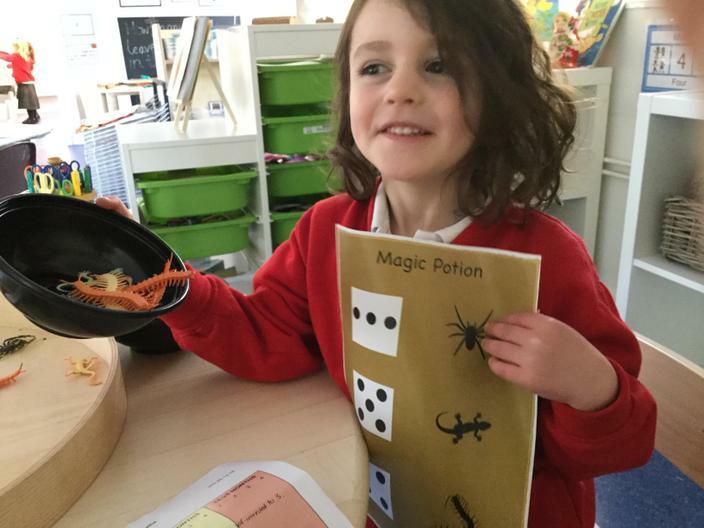 The children had such fun exploring all the magic themed activities. 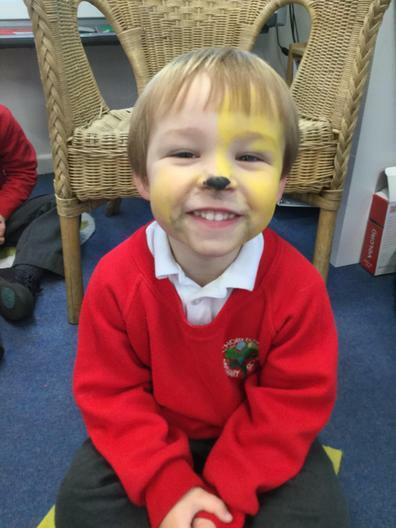 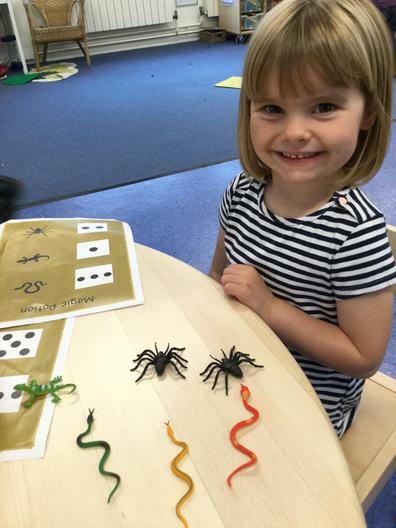 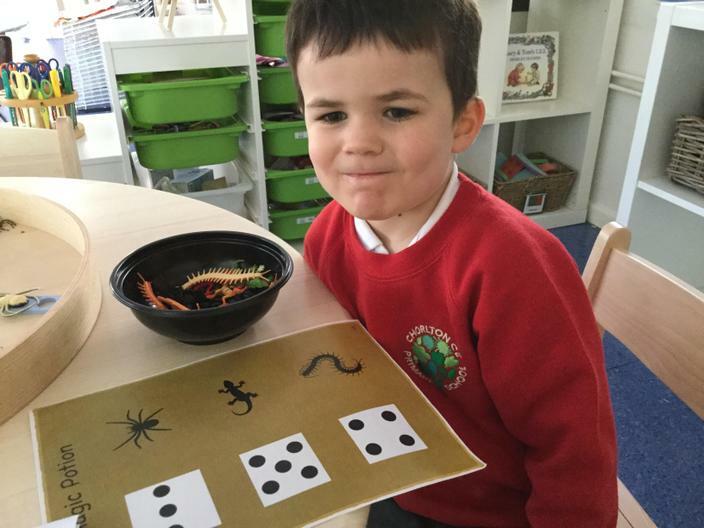 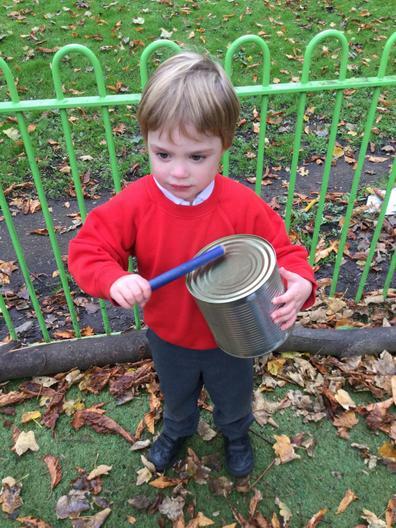 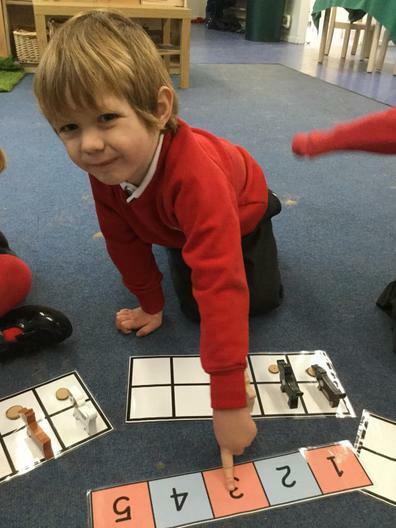 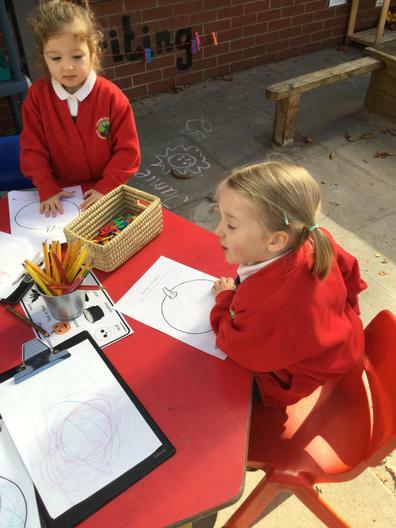 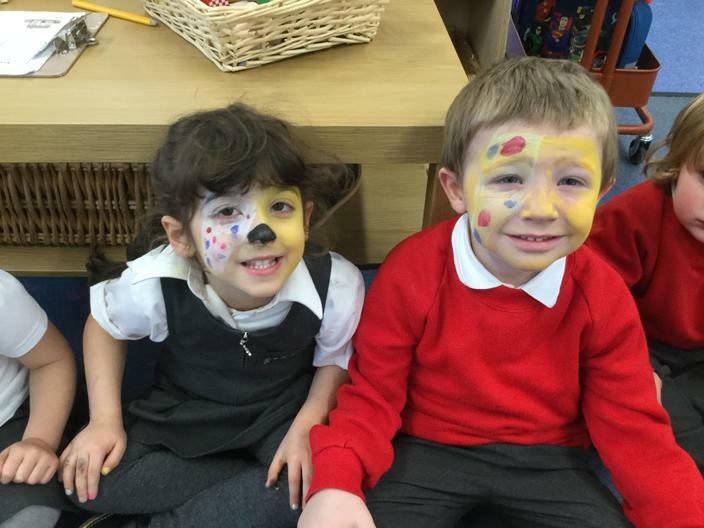 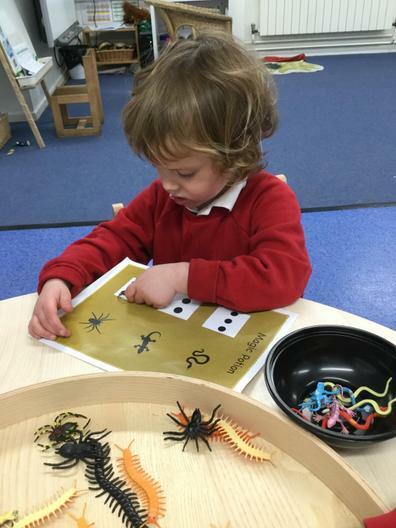 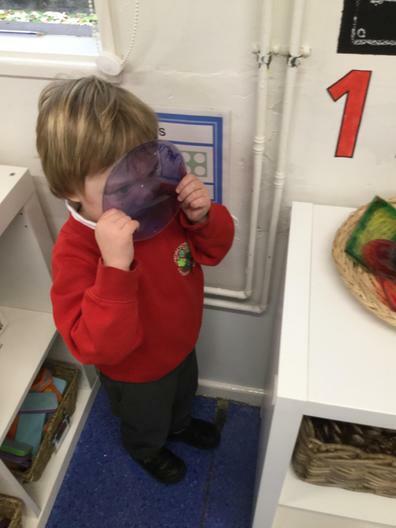 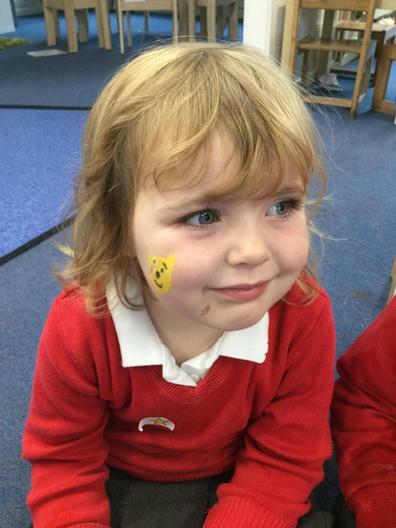 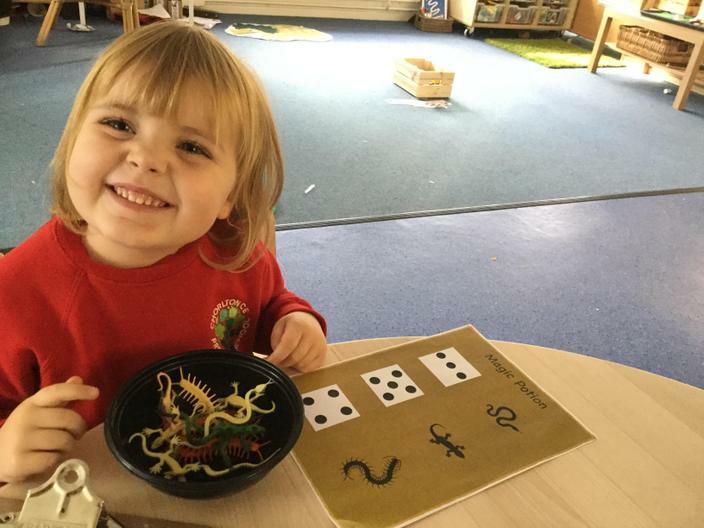 Check out some of our exciting learning in the pictures below. 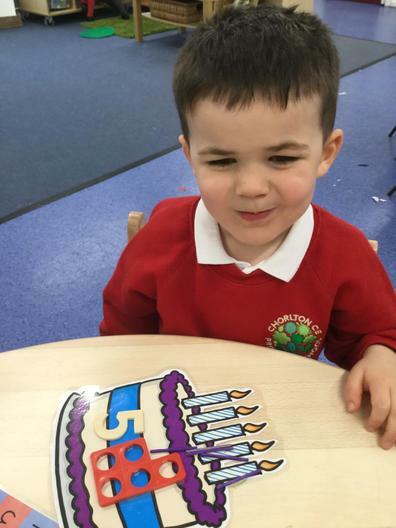 Happy Birthday Kipper! 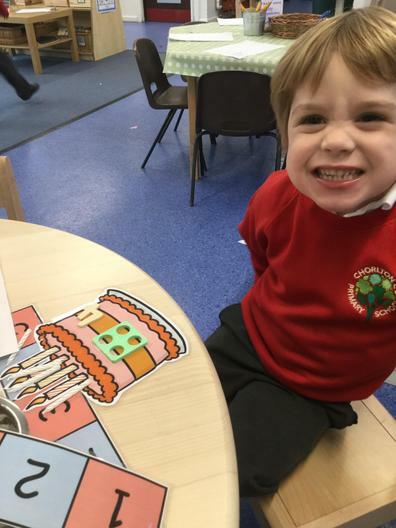 We are learning all about Birthdays through the story "Kipper's Birthday". 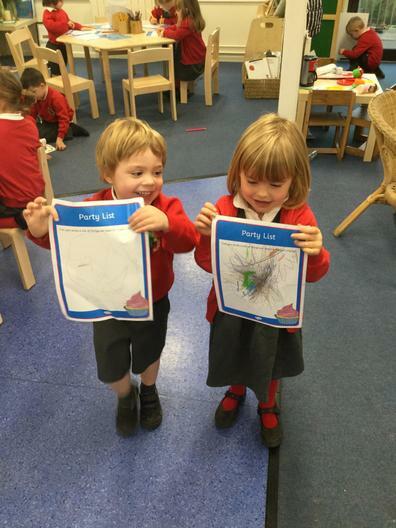 We have written invitations to Kipper's party, made shopping lists for cake ingredients and made decorations as well. 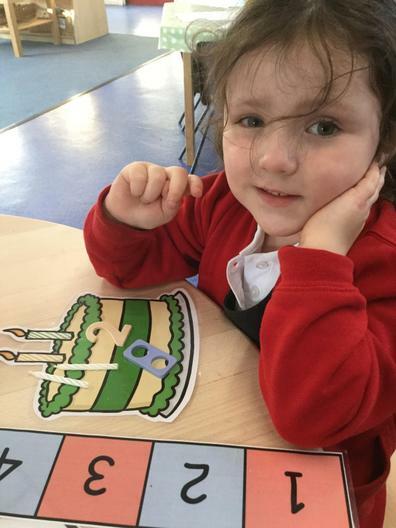 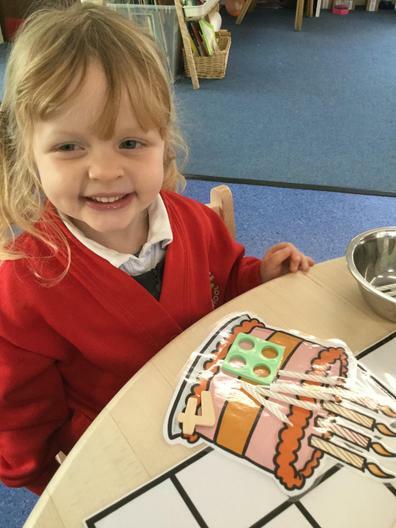 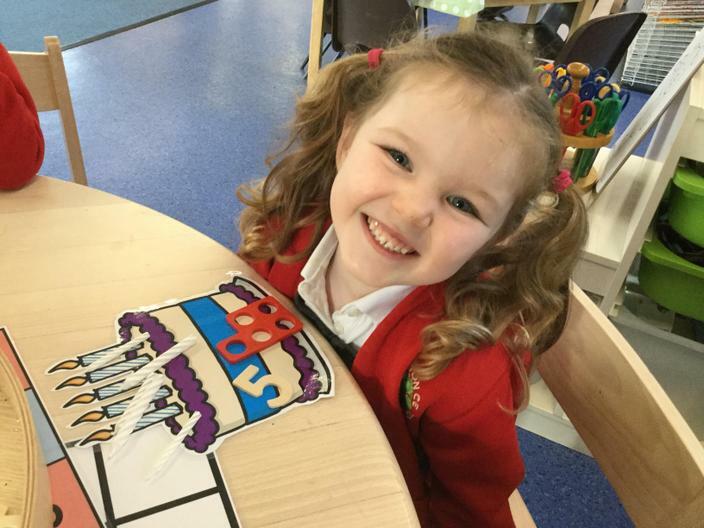 The children have enjoyed making cakes in the play dough area and counting out the correct number of candles as well as matching to that numeral. 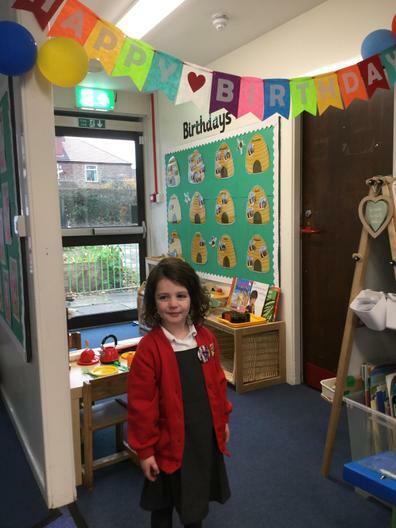 We all took part in lots of interesting Birthday and Dog related activities. 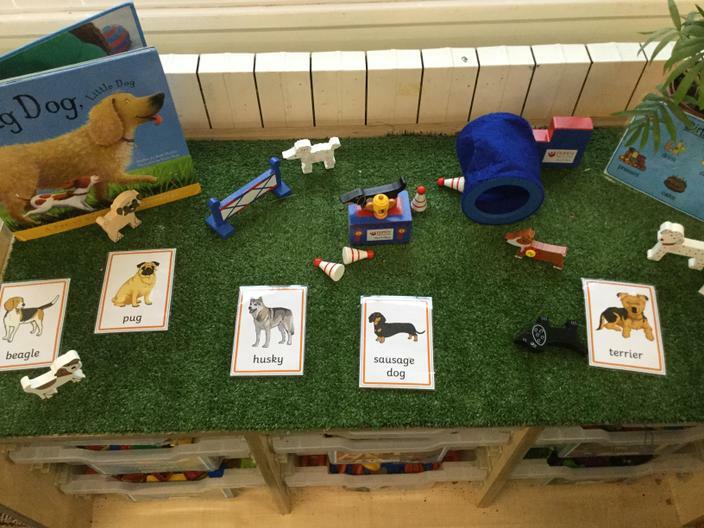 The children enjoyed the small world dog show, Sausage Dog was the clear winner of the show! 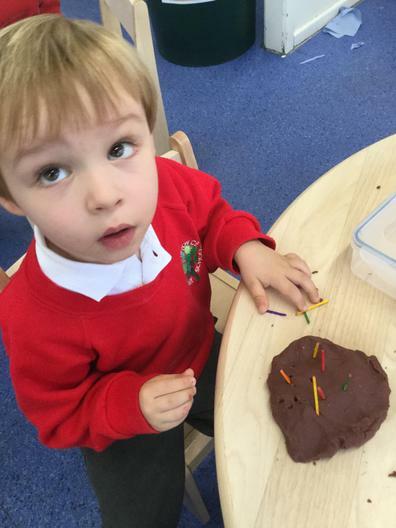 We also made party decorations, wrapped presents, and designed cakes in the play dough area. 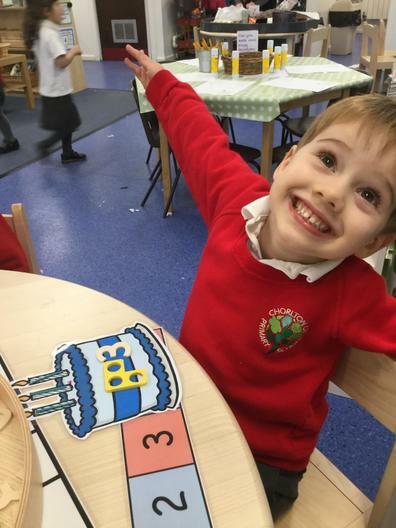 We had a lot of fun in maths preparing to throw a party for Kipper. 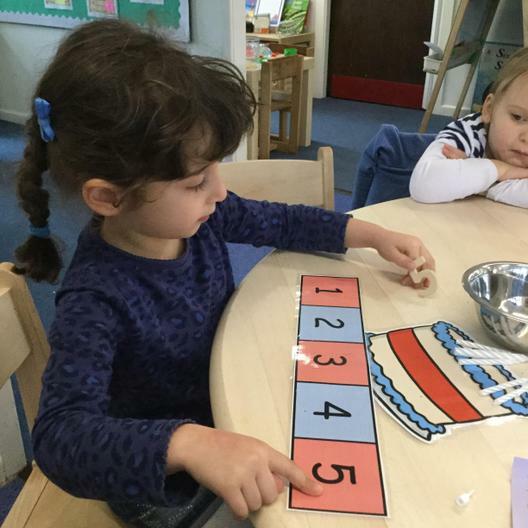 We used our number knowledge to solve problems. 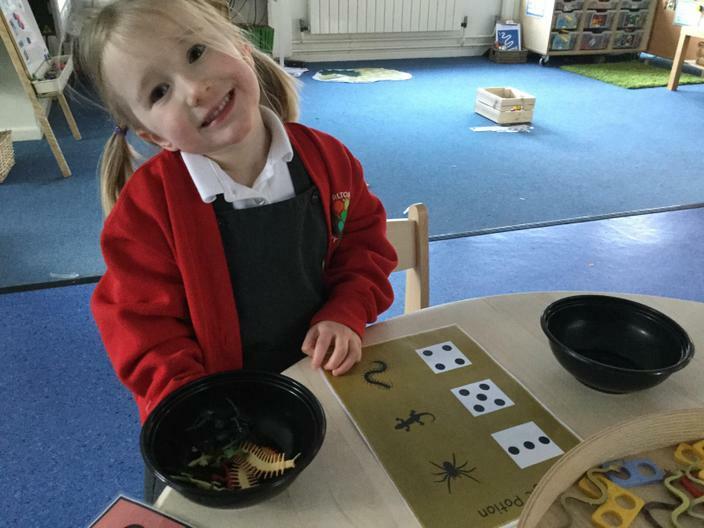 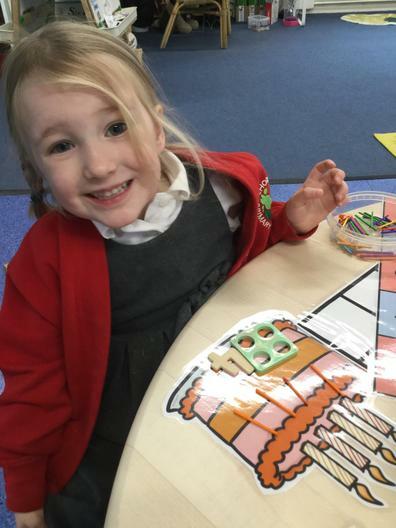 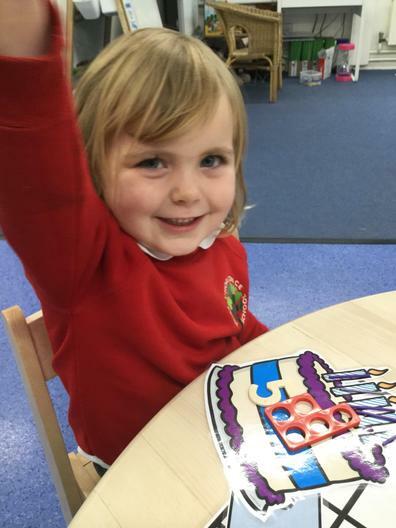 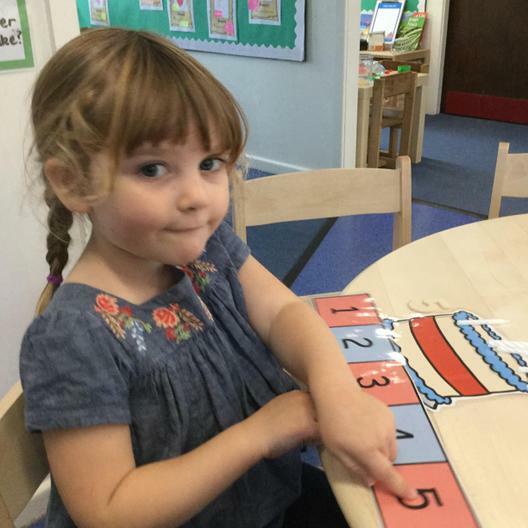 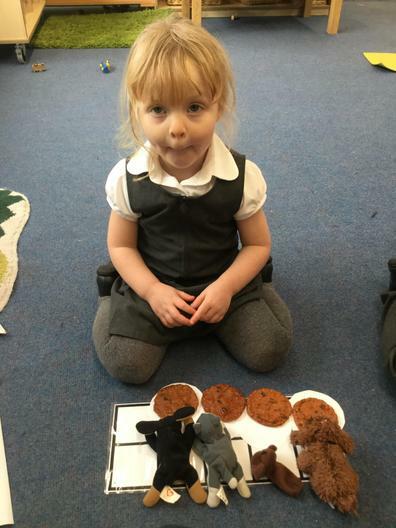 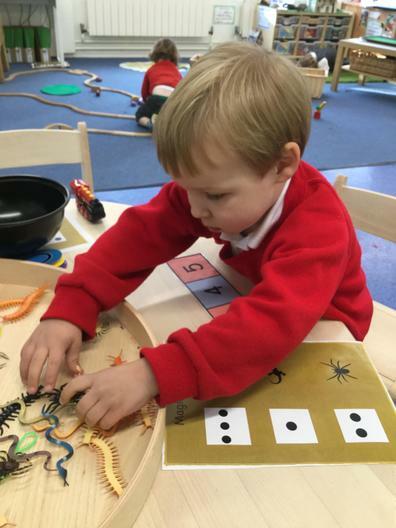 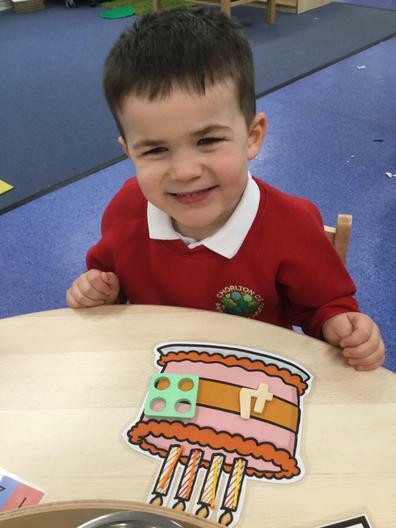 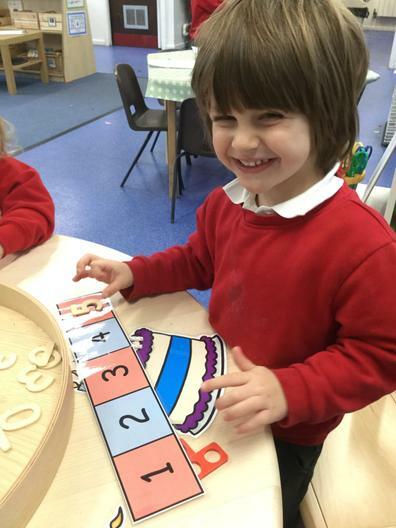 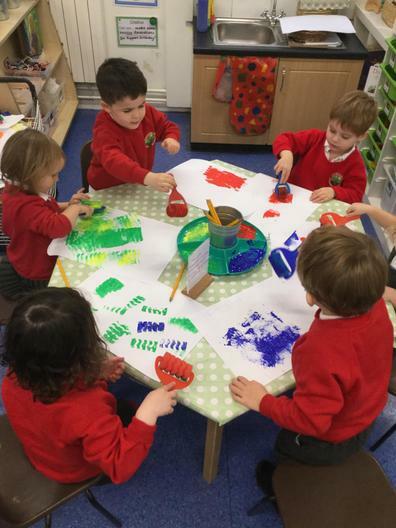 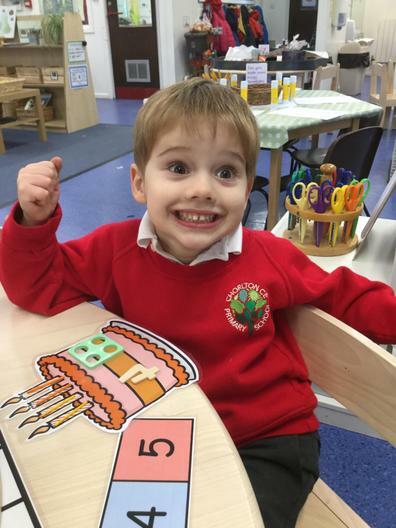 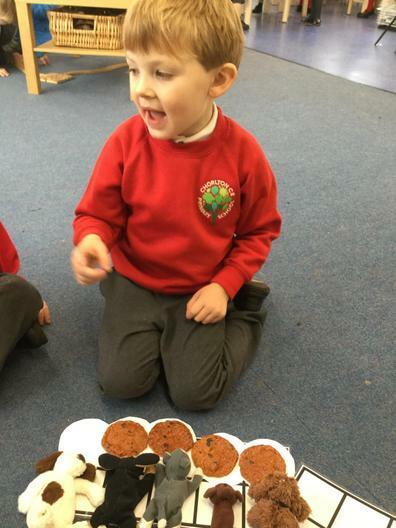 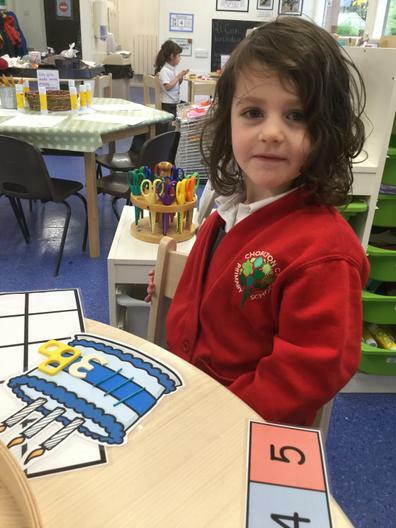 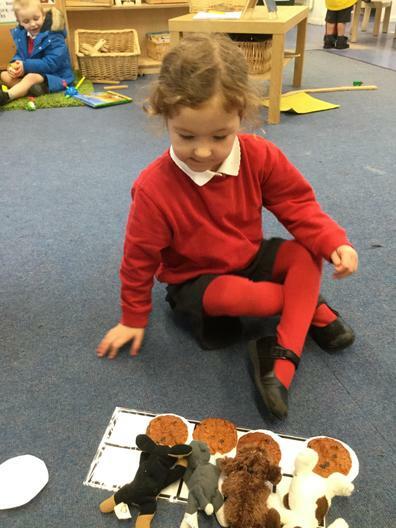 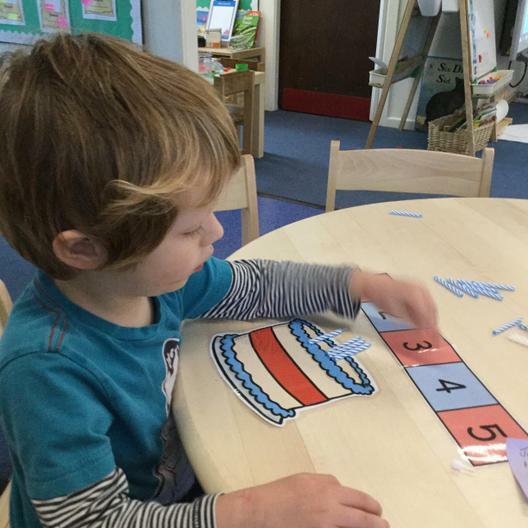 We matched the correct numerals to cakes by counting the candles on them and we also made sure that there were enough plates for all of Kipper's friends to join in the party. 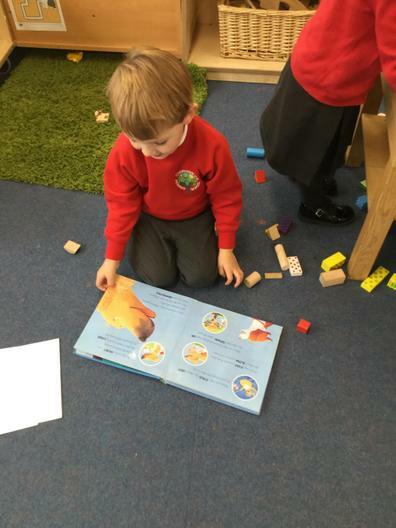 As we rehearse for our Nativity we are also learning the Christmas story in Literacy. 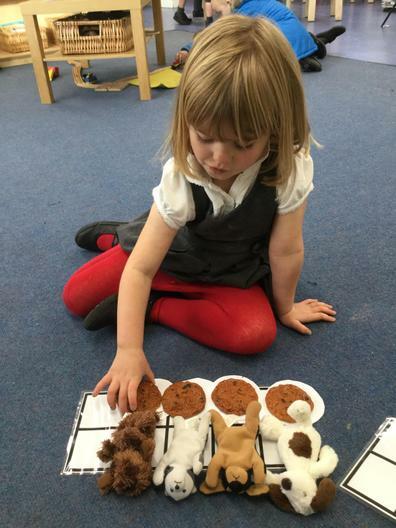 The children are enjoying learning about all the different people who visited Bethlehem to see the baby Jesus. 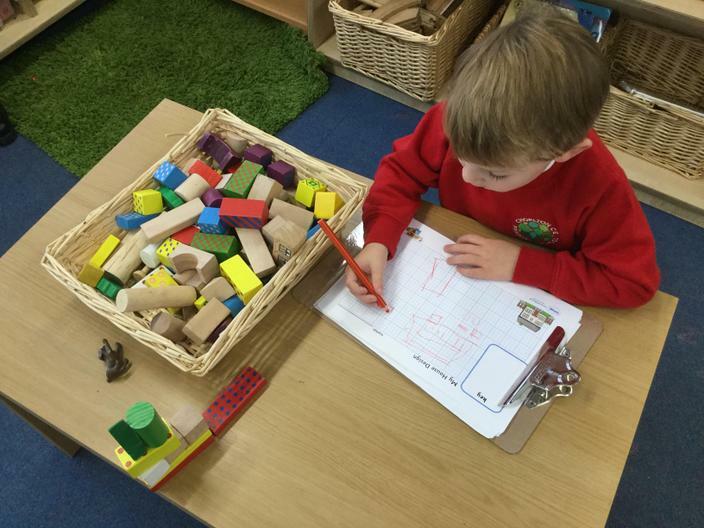 We have been drawing maps to help the people find the stable, sorting the stable animals and designing and building stables with stickle bricks!